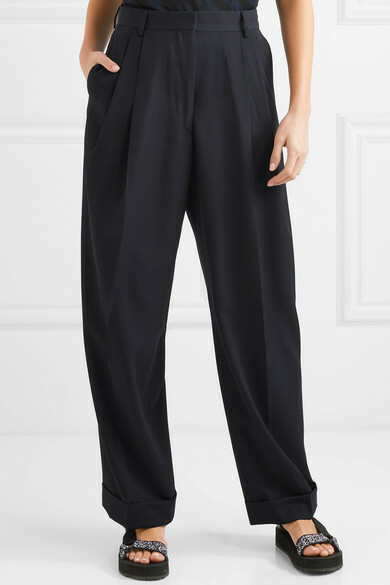 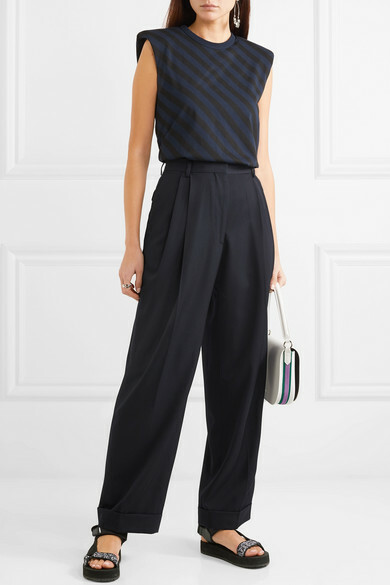 "I don't have a division that says, 'this is daywear, this is eveningwear," explains Dries Van Noten in his PORTER 'Fashion Masterclass' - that's why these runway pants can be worn whenever you want. 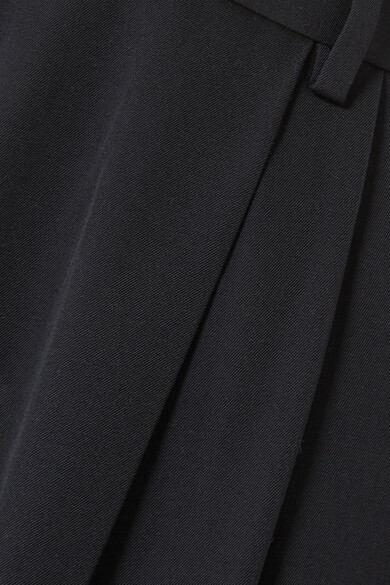 Cut for a straight-leg fit with the designer's signature attention to shape and silhouette, they're made from navy wool-gabardine that won't ever look anything other than refined. 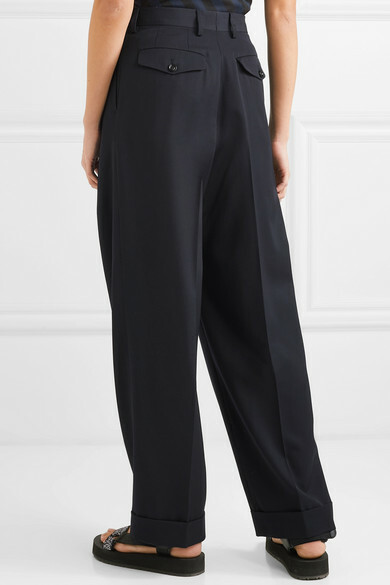 They sit flatteringly high on the waist, so we suggest tucking your top in. 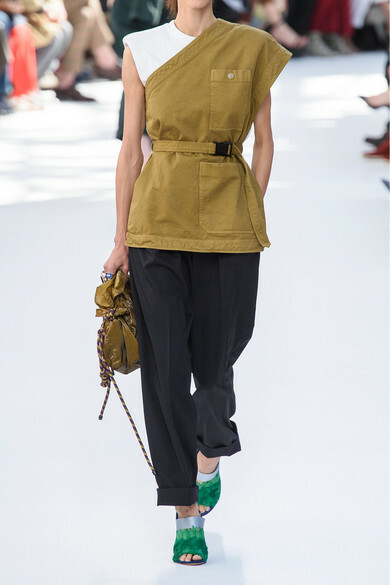 Shown here with: Dries Van Noten Tank, CALVIN KLEIN 205W39NYC Shoulder bag, Prada Sandals, Isabel Marant Earrings, Jennifer Fisher Ring.